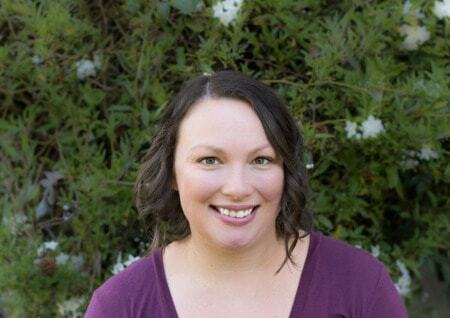 November 20, 2017 By Aileen Leave a Comment This post contains affiliate links. As an Amazon Associate and member of other affiliate programs, I earn from qualifying purchases. This post contains affiliate links. Making a purchase through one of these links contributes a small commission toward the running of this site at no additional cost to you. As you may or may not know (depending on how long you have been following along here on Aileen Cooks), I have a 5 year old son. He has been a Cars fan basically since he could walk. So, of course, we took him (and his sister Katie) to see Cars 3 in theaters. We’ve also been to Disneyland half a dozen times ad visiting Lightening McQueen is at the top of his list. Number 2 on his list? Bringing home an awesome Cars 3 toy! With that in mind, I’ve put together an awesome list of toys perfect for the Cars 3 fan in your life. 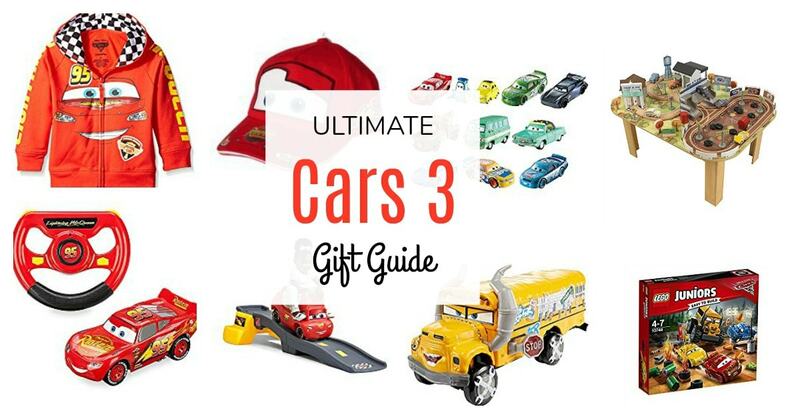 I give you, the Ultimate Cars 3 Gift Guide, divided by category! The ultimate gift for the ultimate Cars 3 fan. This amazing 70 piece table and set includes 6 Pixar Cars characters and garage with lift and lower doors. It’s made of real wood and has beautiful illustrations right on the table. Relive every rowdy moment with the Disney/Pixar cars 3 Thunder hollow track set. With 50 pieces, this set includes familiar scenery, Thunder hollow’s signature figure-eight track and characters from Disney/Pixar cars 3. Motorized garage play set inspired by Disney/Pixar Car. Continuous play on three levels with a working elevator, pit stop area, and a parking garage. New Disney/Pixar Cars 3 race set based on Thunder Hollow! This set includes a transformation feature for multiple ways to play! Transforming Lightning McQueen is extra large and opens up to reveal a playset with 3 different play areas, Winners Circle/Grand Stand, Race Prep Shop, and 2 Lane Ramp with Road. Get your champion wheels ready and race to the finish line! Recreate the thrilling competition scenes from the new Disney/Pixar Cars 3 movie with this action packing set. The vibrant, detailed arena is modeled after the Crazy 8 Derby race that challenges champion Lightning McQueen in new, dynamic ways! Rev your engines and watch the character vehicles race, crash and bash through the course! Cars three fans will love lining up lightning McQueen and Jackson Storm for the final race of the piston cup and helping Luigi to start the race. First help them master early construction and fine motor skills by building the three cars and the starting gate. ave Disney Pixar’s lightning McQueen and Cruz Ramirez from Miss Fritter, who’s crashed her way through the Thunder Hollow Crazy 8 Race and is in hot pursuit – this is no normal race, it’s a demolition derby. Swerve out of the way of the big yellow school bus, dodge the flaming tires and traffic cones and hold your nerve in the race of lightning’s life. Includes 5 characters from Disney Pixar Cars 3: Lightning McQueen, Cruz Ramirez, Jackson Storm, Guido and Mack. Features a crew chief’s stand with room for Guido, a race monitor and raising flag bars, plus a Start/Finish line arch and trackside barriers. Features an Easy to Build Race Simulator with rotating screen and wind turbine, rotating platform and lowering ramp. Includes a Cruz Ramirez character from Disney Pixar Cars 3. It’s demolition derby time with this Disney/Pixar Cars 3 edition of the Trouble game! Lightning McQueen has been challenged by the Crazy 8 Racers to compete in a demolition derby at Thunder Hollow Speedway. He needs a great team to help him go full throttle around the muddy track to win. It’s the Fast-Dealing Property Trading Game with a Disney Pixar Cars 3 theme! The Monopoly Junior: Cars 3 Edition game is a simple introduction to the iconic Monopoly game. With easy, familiar gameplay and favorite Cars 3 characters, kids can have a fun, fast time as they race around the gameboard. Drive over actual bridges and race against your friends as your favorite Cars 3 characters! Pass over a Training Space to earn a token. Stop at a Hazard Space. Go if you have a Training Token! Reach the finish line first to win! Cars 3 wood puzzles in 1 handy wood storage box – a great gift for your favorite Cars 3 fan. Puzzles of varying sizes include favorite Cars 3 characters. Race a friend in the Piston Cup with Lightning McQueen and Jackson Storm. Line up at the starting line and get ready to hit the gas! Puzzle Size: 19.5″ x 14.25″. 100 piece puzzle for ages 6 and up! Build yourself a winning race car with Disney Pixar’s Cars 3 Race Ready Lightning McQueen Tool Kit! This set is packed with an incredible 32 play pieces that allow you to build, tune, and customize your very own Lightning McQueen race car! Exciting storytelling fun awaits with this Traveling Mack vehicle and playset. Inspired by Disney/Pixar Cars 3, the hauler features iconic details and rolling wheels for movie-themed push around play. It’s fully decorated interior fits up to 4 vehicles to transport your crew and key racers! Little fans can play big with an oversized Miss Fritter from Cars 3! In 1:55 scale, it is perfect for realistic push around and racing play. With bright colors, true-to-movie details and moving wheels, kids can recreate favorite action scenes, or speed off on new adventures. Oversized die-cast vehicles of popular Disney/Pixar Cars characters. Bright colors, true-to-movie details and moving wheels. Enchanting die-cast assortment gives kids the chance to reconnect with their favorite Disney/Pixar cars character. Vehicles inspired by Disney/Pixar Cars 3 Florida International Super Speedway Day. Includes 1 exclusive to Amazon RPM #64 vehicle. The Hedstrom Hopper ball is the original Hopper. Hedstrom has been making toys like the Hop Ball since 1913! Quality Hop Balls come from Hedstrom. Pretend you’re really riding inside of lightening McQueen for the ultimate cars experience! Sleek and realistic design features the cars lightening McQueen design with cars-inspired decals. Stay safe with this fun helmet featuring Lightening McQueen! Recommended for Ages 4-6 and Ideal for a Rider Height of 42-48 inches. Includes Removable Tire Storage Case and Racing Flame Treaded Tires. 16″ giant front wheel. Includes a “grow with Me” 3 position seat to fit your child’s growing needs. Low center of gravity for comfort and safety. Slow-closing lid with safety hinge rounded corners and smooth edges. Durable and easy-to-clean finish scratch-resistant finish protects the toy box’s colorful graphics. Cars Toddler Pillow is a great addition to your toddler’s bed. The decorative pillow has a printed applique of a grinning Lightening McQueen, adorned with a “Hudson Hornet Piston Cup” graphic. Measures 12″ by 16″ and is made of 100% polyester solid coral fleece. Flat embroidery on front of hat with screen print of top of visor, beautifully designed to appeal young fans (boys and girls alike). Hit the road to bedtime with this cool Cars pajama set! Your little one with love the extra cozy material designed for maximum comfort. It’s the perfect set for lounging and sleeping.